The case pertains to the killing of a security officer of a then Samajwadi Party (SP) leader from Gorakhpur in the melee of a protest in 1999. LUCKNOW: In a jolt to Uttar Pradesh CM Yogi Adityanath, a sessions court in Maharajganj has directed that a notice should be issued to the BJP leader in a 19-year-old murder case. The development has come as a big embarrassment not just for the Uttar Pradesh chief minister but also for the BJP ahead of the 2019 Lok Sabha elections. As per the details, former SP leader Talat Azia's Personal Security Officer (PSO) Satya Prakash Yadav was killed during a protest in Maharajganj district. It was alleged that a group, led by the then Gorakhpur MP Yogi Adityanath, had opened fire during a 'jail bharo' agitation by the SP leaders. The incident took place on February 10, 1999. Azia had approached the Lucknow bench of the Allahabad High Court and filed a review petition when the initial plea was rejected by a sessions court in March for lack of evidence. Subsequently, the High Court had directed the sessions court to reopen trial in the case. 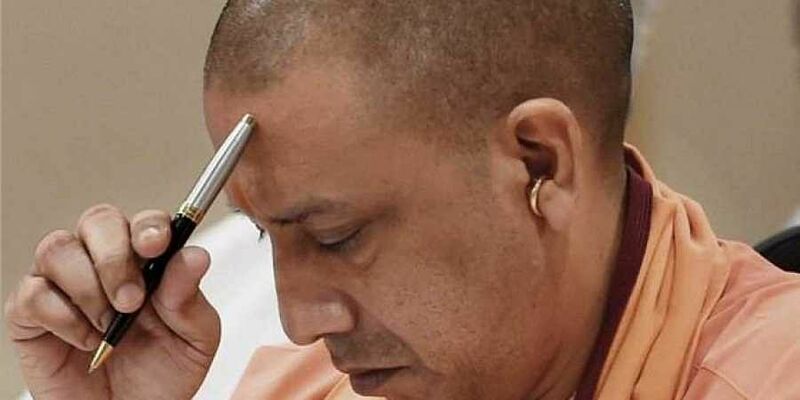 Now, in the latest development, the District Sessions Court in Maharajganj directed that a notice be issued to Adityanath and others for further trial in the case. The CM has a week's time to respond to the notice.